A high tech tea making solution. 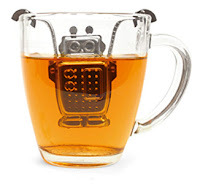 A Kitchen Tea technology available at last using this robot tea infuser. 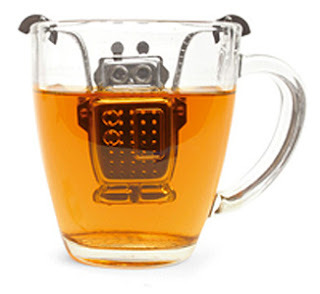 The little robot has adjustable arms that clip over the side of your teacup or mug infusing tea while you wait. 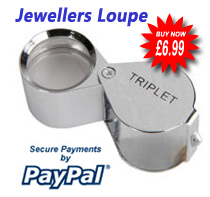 Easy to open, easy to clean. there is a pad to put the used "robot" so there's no leak under when you take it out. What better gift for someone who loves tea and gadgets.